Movies, books and TV shows love taking advantage of the ‘tortured writer as a character’ bit. Don’t get me wrong, I actually love it. It’s nice for us writers to see a little bit of ourselves on the screen, y’know? And while it might not be as popular, the writer-as-a-main-character bit appears occasionally in videogames. From action-packed thrillers to open world fantasies, authors pop up in quite a couple fantastic videogames. Here are five of the best of the best original characters in gaming… that just happen to enjoy writing when they aren’t battling the forces of evil. The protagonist of the underrated Alan Wake games is a bestselling thriller author who finds himself trapped in a Twilight Zone-style town called Bright Falls. Here, a novel he can’t remember writing comes to life. His wife goes missing, strange shadowy figures attack. The locals aren’t much help, either. As he starts to unravel the mystery behind Bright Falls, Wake battles an array of these shadowy figures he calls The Taken. At first he’s armed with little more than a flashlight and a flare gun, but eventually Wake takes up pistols, shotguns and flashbangs. 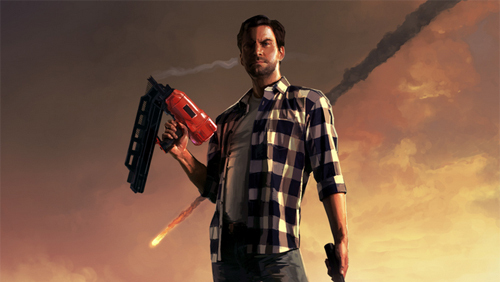 The great thing about Alan Wake is that the story surrounding him is just as interesting as his character. He’s deeply flawed, battling writer’s block and struggling with his own success and relationships. It’s hard not to root for him as the story progresses—and it’s harder not to wish for a proper Alan Wake sequel. Varric is a merchant, a spy, and a successful author of epic tales that can be found through the Dragon Age games. Hard in Hightown, Tale of the Champion, Darktown’s Deal and a romance series called Swords & Shields are among his works. Varric is likable as both a writer and a character. He doesn’t just revel in telling his imagined epic tales, but loves nothing more than spinning stories about his friends. He’s awesome hype man and boosts morale wherever he goes. ?While it’s difficult to say whether Harry’s writing is any good (he’s described as a non-fiction author), it’s hard to discredit him as a great character. In his mid 20s he finds a baby on the side of the road and adopts the child with his wife… who then passes away three years later, leaving him to raise his daughter on his own. 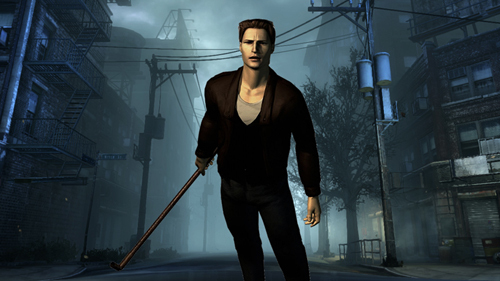 Driven to the town of Silent Hill, Harry fights against unbelievable horrors to uncover some equally awful truths, and spends his years protecting his daughter from the evils that threaten her. ?How many people remember this game? A friend of mine had a copy as a kid and it took up seven CDs. SEVEN. It was a pretty big deal at the time, a major point-and-click adventure with motion capture. But man, seven CDs. Eight on Sega Saturn! The mid-90s were wild times. Phantasmagoria introduced gamers to bestselling novelist Adrienne Delaney, who is looking for inspiration for her next novel. So, she buys a remote mansion once owned by a famous magician, and there’s a nasty turn when she discovers that famous magician actually practiced black magic, summoned an evil demon and that very demon is still on the grounds of the mansion. Like Harry, Adrienne battles against unimaginable horrors and visions. She’s forced to witness the murders of each of the magician’s wives before confronting the terrible demon lurking in her new home. 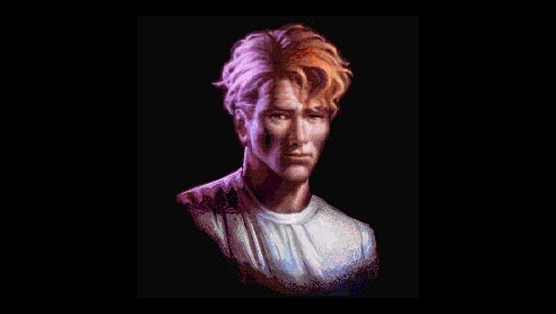 ?Our final video game author is Gabriel Knight, from the classic game series of the same name from Sierra. 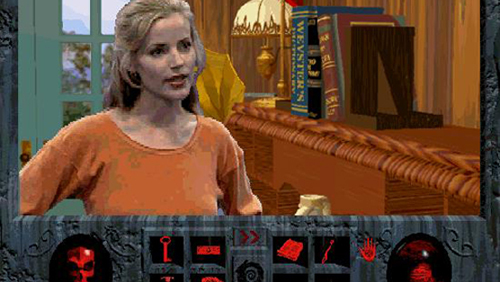 Now, not only is Gabriel Knight a horror novelist, but he also owns a rare bookstore. Through his adventures, Knight finds himself investigating spirits, witches, werewolves, vampires, conspiracies and more. Not bad for a horror author running a bookshop, right?